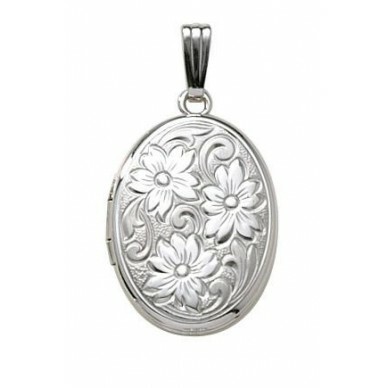 This beautiful oval Sterling Silver locket is both delicate and sturdy. 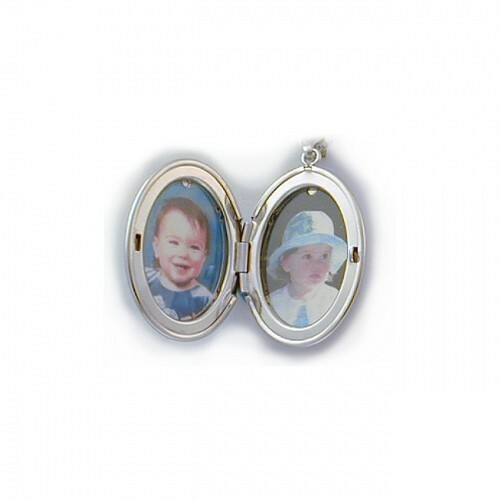 The embossed flowers on the front create a two tone design with matte and shiny finishes complimenting each other. One of our most feminine pieces that is sure to please! Measuring 5/8 " across, and approx 7/8" long -it comes with an 18 inch SS rope chain. 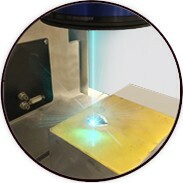 Proudly made here in the USA. 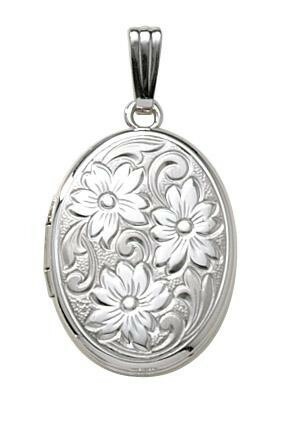 This beautiful oval Sterling Silver locket is both delicate and sturdy. The embossed flowers on the front create a two tone design with matte and shiny finishes complimenting each other.